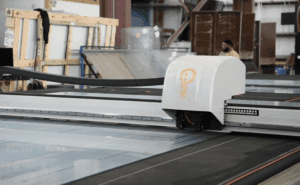 On the brink of opening their third glass fabrication and wholesale distribution facility, American Insulated Glass (AIG) knows a thing or two about increased demand in the glass industry. Known for their soft coat low-E glass, AIG is a leader in high-quality insulated glass and tempered glass in Atlanta. HHH Tempering spoke with AIG’s Billy Blair about how one equipment update changed their entire business. 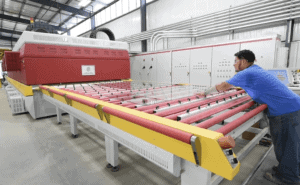 In 2016, AIG made the decision to take their glass fabrication to the next level and upgrade their tempering furnace to a larger model from HHH Tempering. At the time, Billy expected the furnace addition to triple the firm’s capacity. Looking back two years later, Billy says that the furnace has far exceeded those expectations and has been the main driver of growth for AIG. However, Billy says that the highlight of this addition is the quality of glass that comes off the furnace. 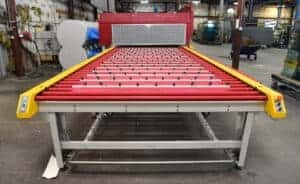 Having worked for AGC for over 30 years, Billy says that the facility’s NorthGlass furnace produces some of the best quality of soft coat low-E glass that he’s ever seen. AIG has seen a strong shift in insulated glass trends within the past year. With an increasing number of hurricanes and natural disasters affecting the southern region, Billy is seeing an impact on the demand for hurricane resistant glass and other insulated and laminated glass products. Billy believes this is a more long-term, permanent shift in the glass industry. The majority of AIG’s business is in insulated glass and low-E glass, which can be especially difficult to get a high-quality, flat product. Billy attributes AIG’s superior end result to the NorthGlass furnace, saying that the full convection top and bottom allow for even heat and a flat finish. The high quality of AIG’s tempered glass has definitely earned the team more projects, making the rapid growth of the company possible. In the near future, Billy sees AIG continuing in soft coat low-E glass with double and triple silver coatings, interior glazing and will soon be taking on heavy glass for shower doors in Atlanta and surrounding areas, thanks to a waterjet cutter from HHH that will allow AIG to take on this new market segment. AIG has plans to open a third location in Birmingham, Alabama, in the second quarter of 2018. Billy says this plant will service commercial and residential segments in the Birmingham area and into Nashville with a full convection tempering furnace from HHH. To read more about AIG’s upcoming expansion, read here. Some notable projects from AIG include a number of commercial spaces, including The Container Store, Zales, the Hampton Inn, and more. Looking to add a full convection tempering furnace to your fabrication line-up? 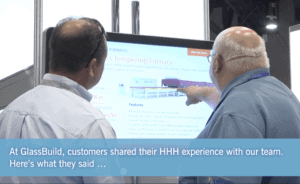 View HHH’s tempering furnaces here. Interested in being a Featured Fabricator? Sign up below.